How Old is Göbekli Tepe? It is said that Gobleki Tepe is the oldest man-made structure on Earth. With our method, we have proven that this intriguing structure is “just” one of the many very ancient monuments Homo sapiens has left behind. We have proven that Gobleki Tepe’s age stretches out over a period of more than 250,000 years. Human history and Earth’s history appear to be intimately entangled. To keep this website in the air and to do our research we need your support. Thank you! Fig 1: Our history has been severely corrupted, on a grand scale. Göbekli Tepe is not a sanctuary; it is an ancient calendar. It is not the “oldest” man-made structure in the world – it is only one of many. It’s also believed that the site was backfilled by hand because the megaliths are covered with thick layers of soil. We have proof that its age spans a period of more than 260,000 years and was (re)built in several stages after every crustal deformation. More about how it worked and how it was used will be published in the future. Many people perusing this website are interested in Göbekli Tepe or in other ancient sites that we have analyzed. One can easily question the mainstream stance about this fascinating site’s history because even here, we find too many ancient mysteries left unexplained. Somewhere in our subconscious mind, we already suspect that the official versions are incorrect. What then is the correct version? If you carefully read the articles on our website, you already know a little about the true history of humanity and how it expanded all over the globe, over hundreds of thousands of years. Most ancient ruins are as old as Homo sapiens. The official version of history (mankind’s age) has been severely compressed. We do not speculate about the trivial reasons for that. Our goal is to dig up the truth which is ultimately a mathematical quest. It has been arbitrarily reduced to 1/50th from what it should be – and yet, it is said of Göbekli Tepe that it is one of the oldest “temple” complexes on Earth. Our facts indicate that Göbekli Tepe is only one of many ancient sites around the globe that are very much older than you have ever thought possible. The first part of this article is explained in a rational, pragmatic, and scientific way (Logos) and is often quite difficult for most people. The second part of the article shows the same truth, but in an easier-to-understand philosophical way (Mythos). In both situations, we came to the same conclusion. Fig. 4: The large T-shaped megaliths of Göbekle Tepe are differently oriented and are NOT even cardinally oriented. Their orientations relate to the proven Poles I to V, and that provides us with clues regarding their intended use. Archaeologists cannot explain the use of this site other than with vague and obscure assumptions. If you have read and understood the article on our main page, you will probably know the difference between clockwise and counterclockwise orientation. Most ancient monuments on the Western hemisphere are clockwise oriented and most of the ancient monuments on the Eastern hemisphere are counterclockwise oriented. This is an established historical and mathematical fact. Göbekli Tepe is counterclockwise oriented and is located on the Eastern hemisphere. Here, we have our first clue. Note that Göbekli Tepe is not part of our extensive worldwide dataset of ancient structures containing mainly square or rectangular monuments. Despite Göbekli Tepe’s unusual physical layout, we will undertake a basic analysis using our method. The four separate monuments on the site of Göbekli Tepe are oriented in a seemingly chaotic manner, but the site appears to correlate strongly with several of our proven geographic poles from our dataset. Therefore, we can calculate and simulate the probabilities for that relationship to be coincidental – or not. Each separate construction of Göbekli Tepe belongs to a different time frame, which we will show further on. These time frames are many tens of thousands of years apart. Archaeologists want us to believe that all of Göbekli Tepe was built during the same time period. This is incorrect and part of the current cover-up. The people who dominate our contemporary sciences have agendas that exclude anti-diluvial high-tech civilizations. When you understand how the science community really works, you will see how important it is for them to keep us ignorant. An example is the long-entrenched dogma of natural evolution from primitive to sophisticated. Generally unknown is in fact that we are descendants of highly-developed cultures that once spanned the entire planet. We are also survivors of the last (almost) life-extinction-level event of 12,800 years ago. It appears that the ancient cultures were subjected to genetic manipulations, became enslaved in a corrupt system where the few ruled over the masses. Unfortunately, that is where we are today; but we are starting to awaken, albeit very slowly. Dogmatic science will try to prevent this at any cost, hence the big cover-ups regarding ancient history. Most people do not recognize much of a pattern in Fig. 4, other than possibly a map of Göbekli Tepe. After they realize that it is, in fact, a map of Göbekli Tepe, their past “conditioning” is set in motion. This “program” is what they have learned about Göbekli Tepe and that states that it is the oldest man-made structure on Earth, some 12,000 years old. The “program” that starts to run in people’s mind prevents them from recognizing patterns that lead to a deeper truth. When you look at the map of Fig. 4, it is easy to overlook any specific pattern when your own conditioned labeling or classifying has already started. the structures A, B, and C in Fig. 4 correlate with one of the former proven geographic poles. D points to an intermediate position between two younger geo poles and does not specifically correlate with one of the poles. The patterns that we recognized in Göbekli Tepe are not some coincidental events, as archaeologists would reply if you ask them. That is because they do not have a single clue what they are looking at. Firstly, the most important structures of Göbekli Tepe, as shown in Fig. 4 are counterclockwise oriented. The odds for that pattern to be coincidental is simply defined as A = 0.54 = 0.0625 or 6.25%. Secondly, we recognize in the orientation layout that, the more counterclockwise, they are oriented, the less detail they exhibit. 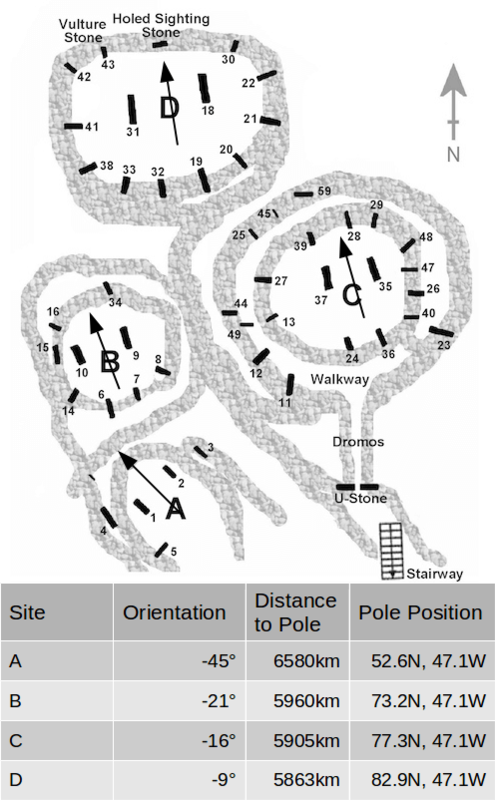 It is relatively easy to understand that the more counterclockwise orientation indicates that they were oriented to an older geo pole location, and thus an older age of the structure is indicated. That explains in the simplest possible way why there is less of the structure left to properly analyze. We also built a specialized Monte Carlo simulator for this situation and calculated the chances (n=100,000) for such a pattern to be something coincidental. For this pattern we found B = 0.00869 or 0.869%. Thirdly, and that is the most important one, 3 of the 4 structures correlate with one of the 5 proven geo pole locations. By running a series of simulations (Fig. 6), we have analyzed the probability chance of two independent functions, namely the five poles and the orientation patterns of Göbekli Tepe, to coincide coincidentally. We found in this pattern C = 0.0292 or 2.92%. Having three separate variables, we can now multiply them, and that leads to a very tiny probability for Göbekli Tepe to be “only” 12,000 years old. What does this probability number mean? It means that the probability that Göbekli Tepe DOES NOT relate to the proven series of Poles I to V is 0.0000159 or 1 to 63,055. In other words, Göbekli Tepe’s official age of 12,000 years is nothing but a wild guess. We now know with 99.99984% certainty that Göbekli Tepe’s age stretches over a period of more than 250,000 years. Archaeologists will never come to this conclusion, no matter how hard, how much or how deep they dig. It is crucial to understand that their “science” has nothing to do with finding the truth. It is simply keeping busy doing “things”. It is also crucial to understand that the true age of Göbekli Tepe is out of reach for the unreliable and short-ranged 14C method that reaches no further than some 60,000 years. All organic materials that are older than 60,000 years show “0” on the displays of the Accelerator Mass Spectrometry equipment that tries to count the amount of 14C isotopes. Only the materials that give “results” are associated with the official Göbekli Tepe site’s age, and therefore, this type of “dating” invariably results in an unrealistic age. We know that this article might be difficult to understand for many of our readers but to really expand the horizon of our ancient history and to see it in its true light, needs a veritable leap of comprehension. Mainstream Media and Academia discourages this effort and that is why archaeologists and historians have made such a big mess of our ancient history and continue to do so. Here at “Antiquity Reborn”, we invite you to ask questions about the why’s and the how’s of our new aging methods. For us, these are no longer theories – they are hard-core facts. We are here to educate the public about our true ancient history and not to repeat fairy tales and to lead you into a dark labyrinth of half-truths and unproven suppositions. You cannot take a red pill like in The Matrix and sit back and relax. If you are willing to burn a little midnight oil at comprehending our radical discoveries, to immerse yourself in our Logos, like the Gnostic called it, then ours is the only measure of truth that can set you free. What do You Prefer: Logos or Mythos? Some people prefer to label Göbekli Tepe with fancy words such as “early Neolithic sanctuary” when they address the alleged age of this archeological site. These people probably do not have much affection for mathematics and numbers. Such descriptive labels by “experts” are essentially meaningless because they do not bring us closer to the truth. We call this Mythos. Because this website deals extensively with numbers and mathematics (Logos), it can explain our forgotten history much more accurately than the dubious attempts by academic “experts” to fit our method into their worldview. You will probably already have discovered that our logical and pragmatic dating method departs considerably from what you might have learned about history from books or the media. Fig. 7: The specialists who presently investigate Göbekle Tepe seem to believe that the site was backfilled by hand by the original builders or subsequent users. These specialists know seemingly all about ancient times but not much about how soil builds up over time. How does the site look like to you? It lies deeper than the surrounding area. Most of us know that soil builds up over time, but very slowly. In the region of Turkey, where Göbekle Tepe is located, the soil builds up at a rate of between 1 to 1.5 meters per 100,000 years. Knowing this, how does it look to you now? If archaeologists say they had to excavate a Roman settlement, you should ask: What is there to excavate? It is only 2,000 years old! How Does Soil Build Up Over Time? Most people know that soil builds up over time. Each season has its period of growth and decay. Living organisms like trees, plants, and grass that die will very slowly decompose into a few basic elements. These basic elements are the building blocks for what we call “soil”, and will eventually end up in things like rocks, sand, coal, etcetera. Most people intuitively understand that the rate at which soil builds up depends on the environment. For example, in the Amazon rain forest soil builds up much faster than in a barren deserted area like the South of Turkey. In a dense forest, the soil (it is not about the compost layer above) builds up at a rate of about 30 meters per 100,000 years. The Geoglyphs, as they can be found in the Amazon rainforest due to the extensive logging of the area, can still be seen as faint square or rectangular imprints in the soil, especially from the air. 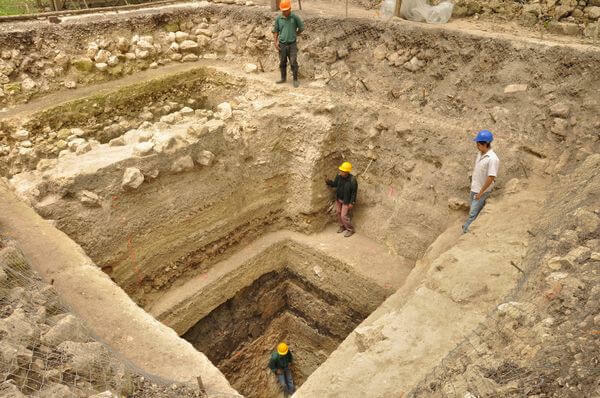 If archaeologists wanted to excavate such a structure, they would have to dig down dozens of meters to get to the bottom of the oldest foundations. The soil in the South of Turkey builds up at a rate of about 1.5 meters per 100,000 years because there is hardly any flora to feed the buildup of the soil. When considering a structure that was built between 250,000 and 300,000 years ago and hardly has been visited again by people, the soil will slowly cover the structure as well as the surrounding area. Most people, and that includes archaeologists, have never really thought about this matter. Why do we have to excavate something when it is only some 2,000 years old? No one seems to notice this discrepancy that is invariably caused by the programming we receive from “history lessons” and “Mainstream Media”. 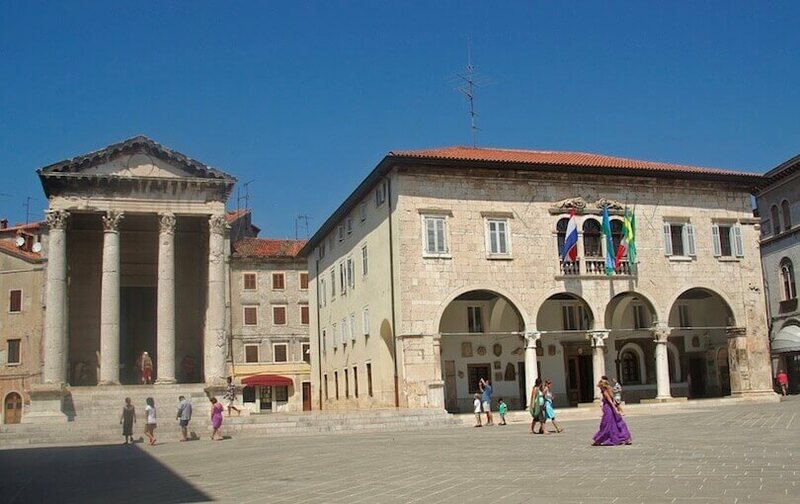 Fig 8: This Roman temple in Croatia (on the left) is said to be about 2,000 years old, lies at the same ground level as the surrounding contemporary buildings (right and behind). Why is this building not positioned much deeper? Chronostratigraphy states about this region that the natural rate at which ground layers build up is very slow – only 0.1 feet per 2,000 years – and that is why the structure is equal with the current ground level. 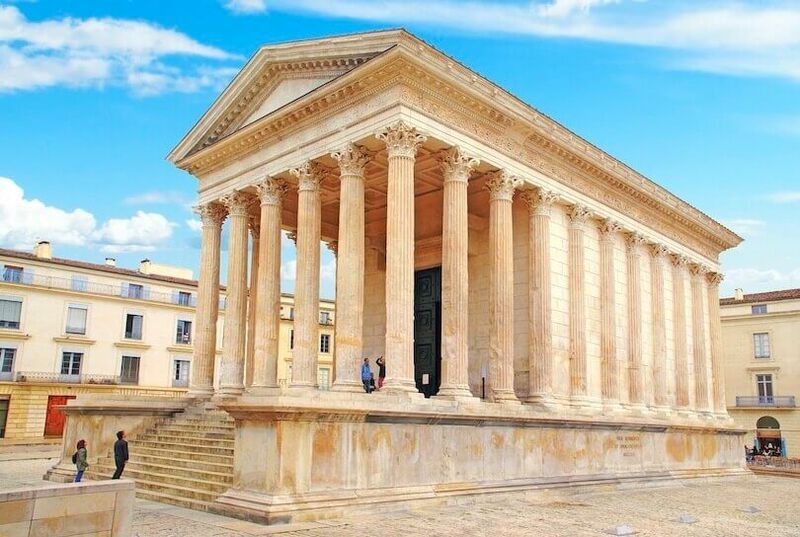 Fig 9: Another example of an ancient Roman temple in France. There is also no difference in levels between the temple and the contemporary surrounding buildings. When we look at the many buildings in ancient Rome, or at the many ancient Roman settlements around Europe, we see that the levels of ancient Roman buildings and contemporary buildings do not differ significantly, or not at all. This raises the question: Why was Göbekli Tepe covered by many feet of soil? Some Archaeologists might argue that Göbekli Tepe had a ‘roof which collapsed’ to justify the thick layer of soil with which the site was covered. Other Archaeologists claim that Göbekli Tepe was intentionally buried before it was abandoned. These are typical arguments by the members of Academia who like to keep their belief systems intact rather than advance their science with real research to discover the truth. All the bickering does not explain why Göbekli Tepe lies deeper than the surrounding area. Was the surrounding land also deliberately back-filled? These are arguments of people who are unwilling to think rationally. The only reasonable explanation is a very old age. What is easily acknowledged is the assertion that Göbekli Tepe is much older than Roman temples. 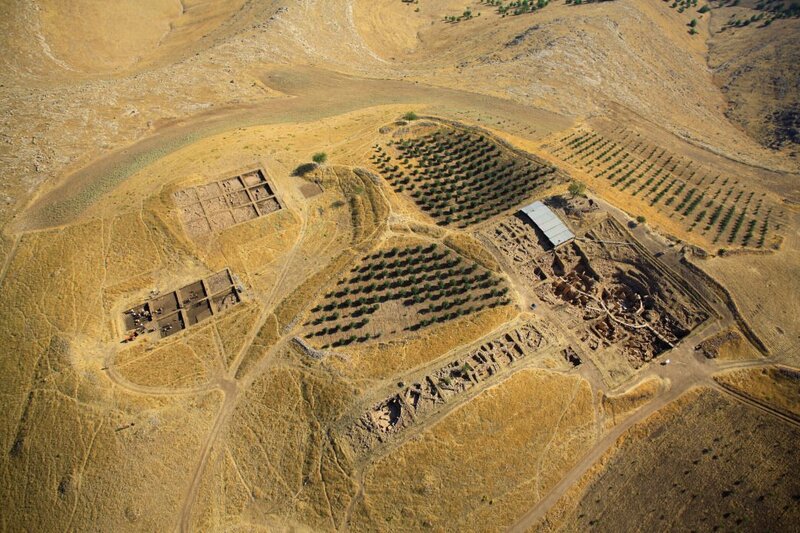 Archaeologists claim that Göbekli Tepe is about 6 times older than Roman temples. To many people, large numbers are meaningless – one thousand years, or 12,000 years, let alone 250,000 years. It all far exceeds the time frame of the mortal ego. But if we follow the chronostratigraphy of that region, Göbekli Tepe would, if it is really 12,000 years old, be covered with only about 7 to 8 inches of soil. The site would still be in plain sight, ruined maybe, and probably covered with some vegetation. 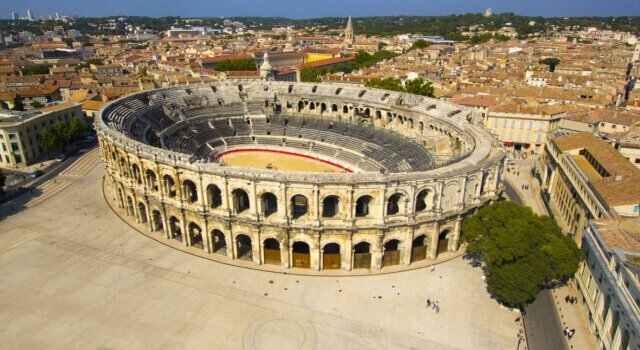 Fig 10: Why is this ancient arena in Arles at the same level as the rest of the city? Why did the age, in combination with the immense weight, not cause the colossal structure to sink many feet beneath the contemporary ground level? Because it is “only” 2,000 years old, and the difference in level is only 1 to 2 inches for the area. 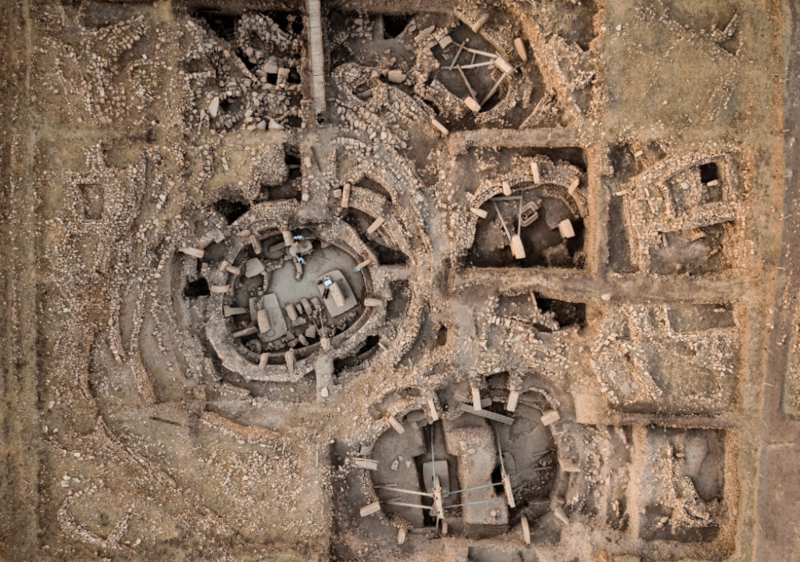 How Deep Did They Have to Dig for Göbekli Tepe? That is an important question to ask. As a rule, the deeper something lies, the older it is. The depth where a site can be found usually depends on the rate at which the ground layers are built up over time. If the depth of a specific site (to be dug up) is about 15 feet below the current ground level, how old could it really be? Remember: None of the Roman temples ever had to be dug up. Chronostratigraphy gives us some of the first indications of the site’s true age. It also removes any speculation that the site was back-filled because that much soil does not build up in only 12,000 years. Chronostratigraphy is the study of the age of ground layers. It attempts to label an age relative to a certain ground layer. The rate at which ground layers build up varies somewhat, depending on the geographical region. The common rate at which ground layers build up in the region of Southeast Turkey where Göbekli Tepe is situated is around 4 to 5 feet of dense soil per 100,000 years. Because Göbekli Tepe was covered with a layer of soil of between 10 to 15 feet thick gives an indication of its true age, which is between 200,000 and 250,000 years. We could accept such reasoning as being factual but are there other indicators that point to a similar age? Yes, there are. The structural orientations, as revealed at the beginning of this article, justify an even more accurate age determination. Fig 11: Here is another example: There are still people who believe that the Mayan culture was not more than 2,500 years old. In this photo, do you notice all the different layers from top to bottom? Stratigraphy records show that the person standing at the bottom of the Mayan ruin (shown above) looks at soil records that are 650,000 years old. An academically-conditioned mind is unconvinced. The original ground level of Göbekli Tepe varies between 10 to 15 feet beneath the current ground level. All the sand, rocks, and soil that the Archaeologists had to dig away were deposited there in a natural way. That takes an enormous amount of time, between 200,000 to 375,000 years, depending on which part of the construction you are considering. Archaeologists assert that Göbekli Tepe is roughly 12,000 years old. However, no facts are available that will support this claim other than personal opinions and associative and assumptive evidence gathered at the local scene. In addition, Göbekli Tepe was never covered with any kind of a roof. Nor was it intentionally back-filled because, according to our calculations, the site is hundreds of thousands of years old. The alleged roof, which is believed to have collapsed, or the back-filled version thereof, is invented by archaeologists because that much soil cannot build up in just 12,000 years. The surrounding area is also at a similar higher level. Therefore, this debunks instantaneously the theory that Göbekli Tepe had a roof or was hand filled. Otherwise, the rest of Turkey had a roof as well! And it all collapsed! Göbekli Tepe was a calendar which served to measure the time of the year. It was an open-air construction to measure the seasons, and every T-shaped construction at this site was once oriented to another geographic pole. The proof is in the numbers. 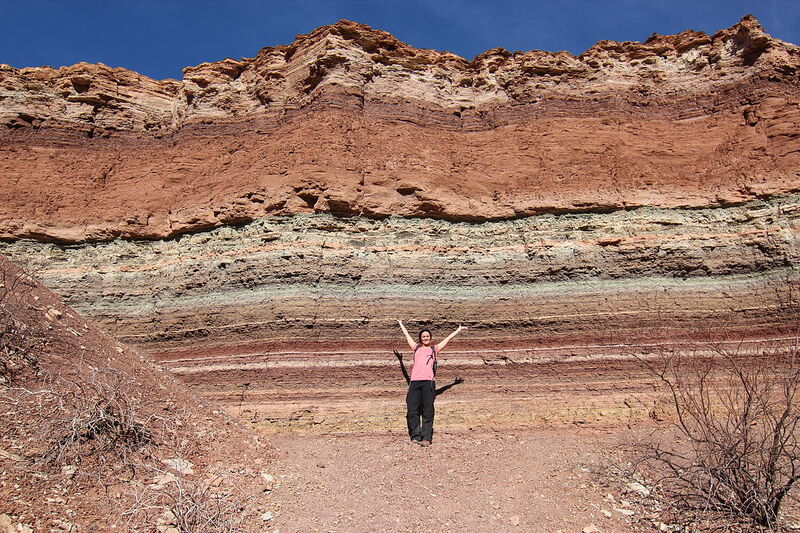 Fig 12: This happy girl stands in front of many layers of stratum (Northern Argentina) representing many hundreds of thousands of years of soil that has built up over time. When we find something in one of these layers and the layers are completely undisturbed, the odds are high that the find belongs to that specific layer. 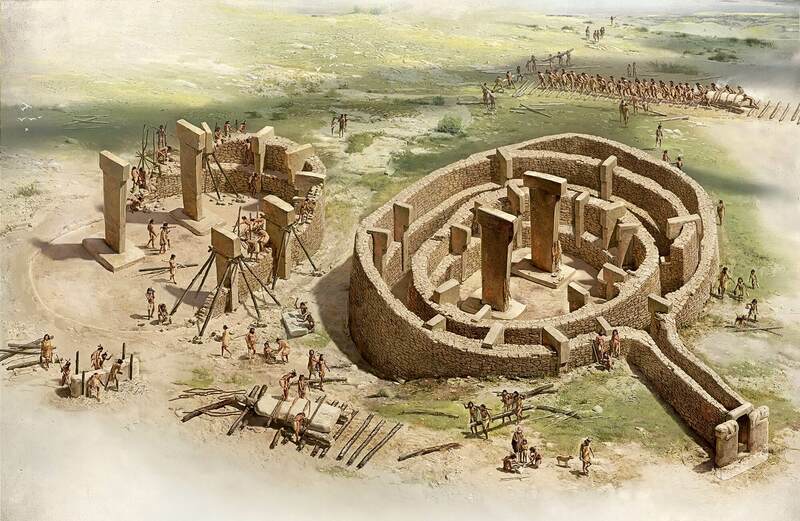 Fig 13: This is how Göbekli Tepe might have looked at one time, according to this artist impression. The person who created this sketch understood intuitively very well how it could have worked. If Göbekli Tepe had been intentionally back-filled, then the whole area of many square kilometers surrounding the site must also have been back-filled. If so, where did they get the soil from? Many feet of naturally-deposited soil would have needed to be removed. Being THAT far below the current soil surface is one of the true signs of an age of several hundreds of thousands of years. The map of Fig. 4 shows how the four constructions are oriented. All four constructions are differently oriented and are negatively oriented with respect to our current geographic North pole. Why? Archaeologists do not seem to have paid attention to the negative orientation of these sites. The question why this site is not oriented to our current North pole has never been addressed. What and where were the four sites oriented to? And why would these constructions be oriented so strangely and so differently to each other? Why are the large T-shaped pillars not oriented towards the solstices? Archaeologists do not know what to reply, except for wild guesses and irrational theories. The answer is that the site of Göbekli Tepe was rebuilt and reoriented after every crustal displacement. Each crustal displacement resulted in another geographic pole position. This process extended over a period of more than 250,000 years. Because the crust and the geographic poles had moved, Göbekli Tepe was purposely reoriented with respect to the then current geographic pole. How large are the odds for this statement to be true? We have seen that the stratigraphy records are pointing to the oldest age (A) of between 350,000 and 375,000 years. The stratigraphic records point to an age of between 350,000 to 375,000 years for the oldest, deepest constructions. This age correlates with the (re)orientation patterns of the site with Pole V. This relation alone is very small to be just coincidental. The orientation layouts reveal more subtle ages between 350,000 and 100,000 years. The certainty of the claim for Göbekli Tepe’s age to stretch over 250,000 years is 99.99984%. It is therefore 99.99984% certain that Göbekli Tepe has been (re)oriented due to crustal displacements. The part of Göbekli Tepe marked as “D” (Fig. 4) is oriented between Pole II and Pole I. Thus, it has been built during the shifting crust and became obsolete after a few millennia. We can pinpoint the age of “D” at between 70,000 and 80,000 years ago. None of the calendars of Göbekli Tepe are oriented to our current geographic North pole because the site was not restored as a calendar once more after the crustal displacement to Pole I. This happened around 70,000 years ago after “D” became obsolete. The older a structure, the less is left of it. “A” is the oldest, “D” is the youngest. There is nothing in and around the site that is pointing to an age of only 12,000 years. This age is unsubstantiated by current academia and is based on unscientific methods. If you must dig many feet below the current ground level to unearth ruins in areas like Italy, Turkey, Syria, Iraq, Iran, Turkmenistan, Peru, Mexico, etc., your alarm bells should already be going off. Check out the chronostratigraphy records of the region to get an indication of the soil build-up rate over a given time period. Do not let yourself be scared off by the personally directed and harsh language of the “experts” who like to brush off such inquiries. Try some real, scientific research. If you have the opportunity to use ground-penetrating radar or a Lidar system which you can easily mount on a drone, work from rough stages to the finer ones. Scan the contours of the structure and find out how it is oriented in relation to our current geographic pole. If it relates to one of the ancient poles (which you can find on this website) and you find a similar age match in the surrounding stratigraphy records, you already have a 1 to thousands hit that they could agree with each other coincidentally. © 2016-2019 by Mario Buildreps et al. Some genuinely fantastic work on behalf of the owner of this site, perfectly great content.